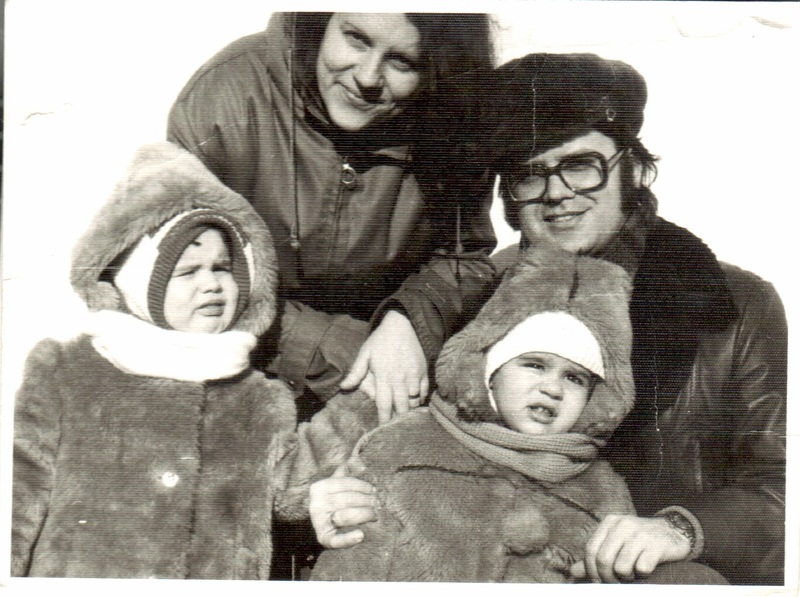 I grew up in Romania under the communist dictatorship of Nicolae and Elena Ceausescu during the 80's. 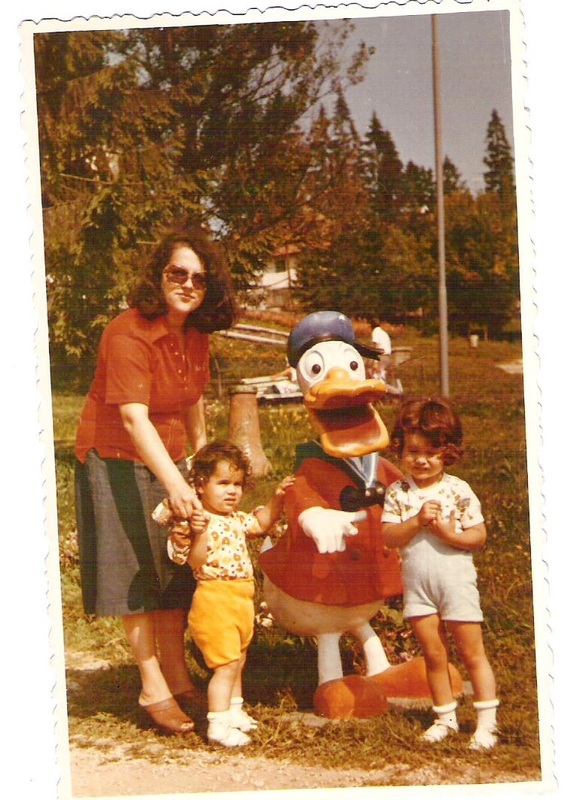 My parents were professionals and held interesting jobs. They were both very involved in our upbringing and had a good support system in place with grandparents and neighbours helping. We had a great childhood with all the memories any of you may have, too. That is why it may come to you as a surprise when I'll tell you that on top of all the great memories, I also remember the cold temperatures in appartments and classrooms, the gas lamp accompanying us in the evening as we continued homework during electricity cuts, the gas ratios for cars, the line-ups to buy rationed oil, sugar or bread, the many empty store shelves, a generalized grey colour of the buildings, store windows, clothes and shoes. I remember people running in the street in order to grab a better position in the line-up for chicken and my family members connecting with one other in order to find sources for food. I remember thinking that chocolate, oranges and bananas were a delicatessen and having a feast after my father brought me and my brother these delicious treats from a trip to Prague. This was also when I got my first pair of jeans, Prekon, made in the former Czechoslovakia, now The Czech Republic. These memories are not only mine. 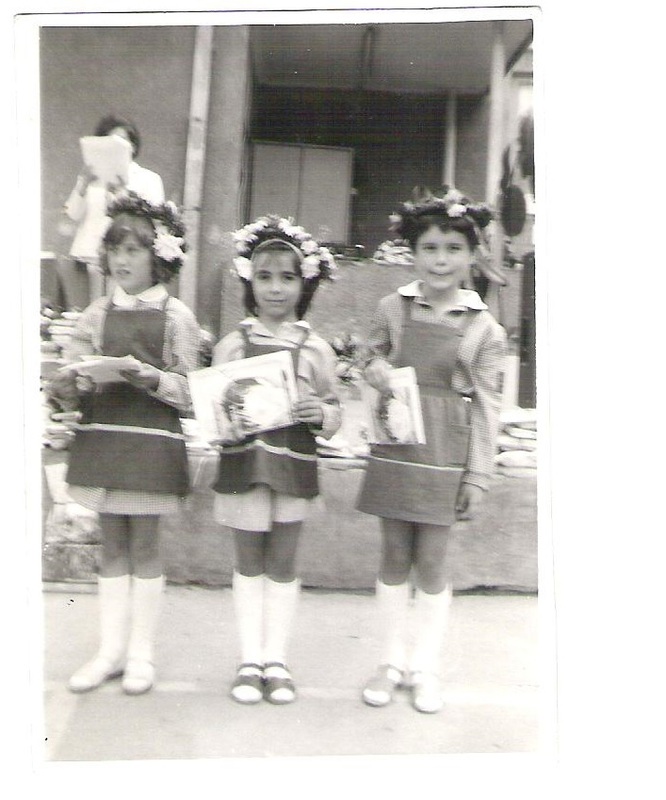 They are most children's memories who grew up in my country during the '80's. In this story, I will tell you about my exposure to propaganda during this time and how I it helped me build a toolkit against it in my adulthood. I am not suggesting that the way I reacted to it was the way all children who grew up in the same political context as me did. In fact, this is never the case. We all react in different ways to the same triggers, as a result of all the contexts that influence our lives, from family and friends and other institutions we attend or things we see and consume. My hope is that as you read it and access other sources on propaganda, you will start assessing your own exposure to it and continue building your own toolkit to deal with it. 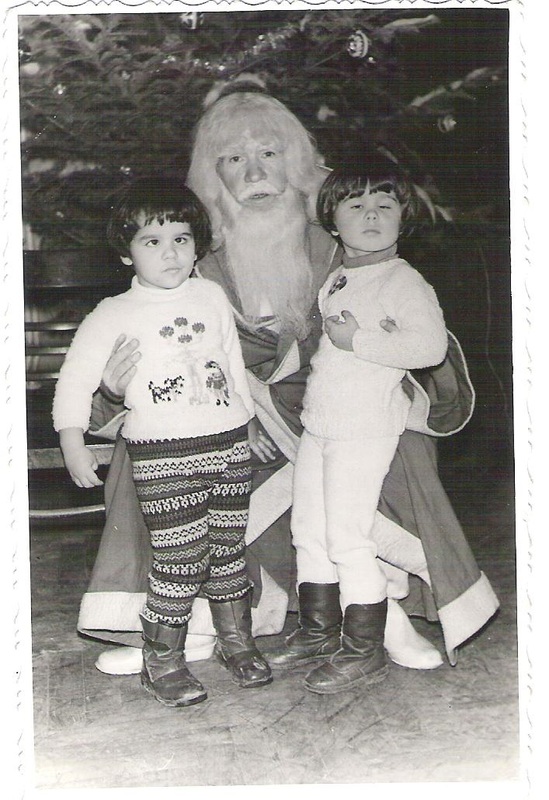 My brother and I - Santa Claus had a name change during communism that avoided the relationship to Christmas. He was called a name synonimous to "cold." In this video, you can get an idea of what shopping looked like in the 80s in Bucharest. By the time I went to kindergarten I knew better than to talk about politics with anyone else other than my immediate family. I knew that other kids might share these conversations and consequently, my family might get in trouble. Kindergarten was the first educational institution where I experienced the power of propaganda. There I learned dozens of communist songs and poems. I still know them now as I'm sure most of you still remember Disney songs or Super Mario Bros. jingles. 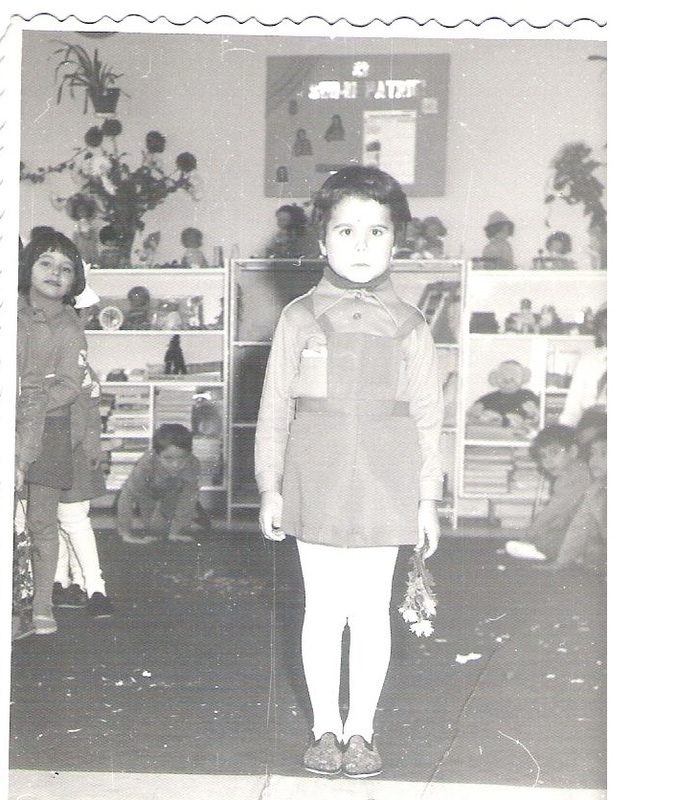 In kindergarten I had my first communist uniform, that of a Communist "hawk". By grade 2 we became communist "pioneers". The ceremony when I became a "pioneer" is the first display of communist propaganda that I can remember very well. It took part in a prison, which for the 8 year old that I was seemed like an odd choice where to take children but this was not a random prison. It was the prison where the dictator spent some time in his youth as a dissident during the inter-war period, the Doftana prison. I knew I was meant to be impressed by his example and dedication to Communist values. Grade One - end of school year ceremony. Going home with the first prize, the highest academic accolade. I was a very good student. 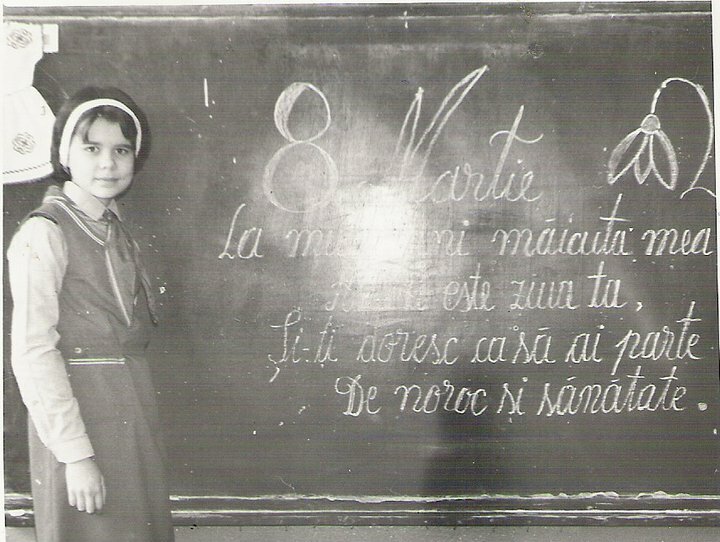 It was easy for me to get grades above 85 and often get the highest grade in my class. So, it will make sense to you why it was important to me when I made a choice to get a 70 on a geography test in grade 4. For that test, I had to study the textbook and in addition to it, a propaganda brochure of the Romanian Communist Party from which we were going to get a 30% question on the test. I came home and asked my mom to buy it for me for the test. She said "no" and at first, I was upset but she convinced me it was better to get a 70 than to be indoctrinated (her words). I understood what she meant and I felt special with my first act of disobedience, as I looked at my grade and at the blank space on the page under that last question. During the primary, my parents would still remind me to never discuss politics outside our house. I sang the national anthem every morning, gave the "pioneer" salute, swore on the Communist Party flag like everyone else. The dictator's portrait was in every classroom up on the front wall. His portrait was everywhere on the street and in every workplace. The textbooks were filled with communist propaganda, from communist advice columns to poems and pictures. I continued to learn dozens of communist poems and songs. After school hours, there was communist choir. My mom told me to tone deaf, so that I did not have to go. By the end of each academic year, around June there were giant communist demonstrations that involved the pioneers getting together from multiple schools on sports stadiums and filling up a communist art diplays. I took part in one such show and fainted due to heat exhaustion. Afterwards, my parents got me a doctor's note and I was excused from the rest until the end of the regime. Below is another example of a propaganda show.